In summer, in the UK it is not uncommon to see dog walkers out in the midday sun. I think it’s because until the recent heat wave, we don’t seem to see so much sun and we like to take advantage of every sunray. In recent summers, I can often see a slightly unfit dog on a lead. Panting and tongue lolling as it goes for it’s walk with it’s lightly clad owner and on checking the outside temperature which is perfectly pleasant in my climate controlled car, I shake my head. Sometimes the temptation to yell out of the car window is overwhelming, but it’s not good public relations to point out that really dog owners should consider exactly how hot it is before the take their dog for a walk. Consider going for the same walk, whilst being asked to exercise strenuously in a heavy winter coat, thick jeans and no footwear. Do you know that dogs lose the majority of their excess heat by panting and the only part of a dog that has sweat glands is their feet? This sweat, unlike ours does not contribute much to cooling. Given the woolly coat, that cannot be exchanged for a thin strappy top and shorts. And given that ground temperature especially on tarmac are likely to be higher than air temperature, it would be wise to be cautious. In 2014, J Bernens published a paper in the journal of the American Medical Association*. He measured road/highway temperatures and air temperatures and these are the results. They are results assuming direct sun, no wind, very low humidity and high radiant energy. A bit like this current heatwave. Interestingly at 52°C human skin destruction can occur in 60 seconds , at 55°C it’s possible to fry and egg in 5 minutes. This is obviously not a dogs feet but it gives some pause for thought. In my research for this blog post, I happened on a website for barefoot runners in the USA, who have to be mindful of running at certain times of day with road temperatures otherwise blisters and foot damage are common. Obviously those dogs who have conditions which mean they may well have a lesser reserve for coping with the heat such as older dogs and those with heart or lung problems need to be carefully managed. I have seen a very overweight dog die, because his obesity made it impossible for him to lose heat fast enough – he died of heatstroke and he was not an active dog. Dogs with long and thick coats are walking around in our equivalent of a padded winter coat, the difference between a spaniel’s heat tolerance and a thick coated dog like an Old English sheepdog is marked. My Dog’s this summer have had a short haircut, their tolerance to heat is much improved. And then there is the current fashionable Brachycephalic ownership of some dog breeds like Pugs, French Bulldogs, Boston terriers and English bulldogs. The demand for which is outstripping supply leading to unscrupulous breeders breeding animals which do not have less extreme conformation. Brachycephalic dogs and some cats who’s shortened squashed face, small nares (nostrils), normal size soft tissue around the back of their throats, large tongues and narrow air passages means the air has trouble getting to the lungs in the first place. The squashed nose design in dogs or BOAS (Brachiocephalic Obstructive Airways Syndrome) that is currently thought to be fashionably cute with snorting, gagging and upper respiratory noise is not due to a normal healthy air flow. Many require extensive soft tissue surgery to lead a relatively normal life, but they are never going to be active dogs even after surgery. And on a hot day they have trouble panting and getting air into their bodies, the faster they breathe the more inflamed their airways become leading to a life and death struggle to breathe. I have seen several casualties of looks over function. Breeding less extreme examples and education of the possible drawbacks to the conformation must be considered essential when we create and manipulate a species for our own ends. All of these factors put dogs at a bit of a disadvantage when it comes to getting rid of excess heat on hot days. 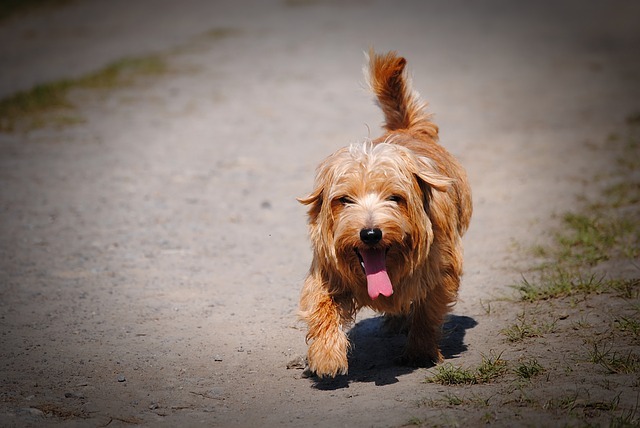 We know that dogs in particular won’t stop enjoying themselves and exercising because it is hot, so it’s up to owners to do all they can to prevent overheating happening – and be able to recognise the signs and act quickly if it does. Even fit dogs can get heat stroke. Basic simple practices like walking dog’s early in the morning when it’s likely to be cooler, having less active, shorter walks can help on humid and hot days. Perhaps walking in the woods to provide plenty of shade and taking some water with you. At home provide shade especially during the hottest part of the day, fresh cool water and good ventilation. Keep animals out of direct sun, apply sun cream to those with light skin on ears and noses for instance (special pet sun cream does exist). Cooling vests can also help to keep dogs more comfortable. Overheating /heatstroke/heat exhaustion is avoidable. As for shutting dogs in hot cars, just don’t. Not long is too long. Heatstroke in dogs can occur when the body temperature becomes elevated above the normal temperature. If this higher than normal body temperature continues it can be fatal, the animal will die as its organs shut down and its heart stops. Fortunately, it’s not difficult to spot signs of overheating in dogs. Excessive hard panting is the first symptom. Followed by restlessness, and very red or blue gums and tongue. Other symptoms include being less responsive to commands than usual, glazed eyes, excessive drooling, and a rapid heart rate, lack of co-ordination, lethargy, collapse and loss of consciousness. At the first sign of overheating, immediately take action to cool down your dog. Immediately move your dog to a cooler area, either indoors where there is air conditioning or in the shade under a fan. If you’re near a body of fresh water, such as a lake or pool, you can let your dog take a dip to cool down, if they are well enough to do so. Otherwise, you can use cool, wet towels to help cool them. Place the cool wet towels on their neck, armpits, and between hind legs, and you can also gently wet ears and paw pads with cool water. If they are conscious and willing to drink, give cool, fresh water. Don’t force it, however, as if they cannot swallow it may end up in their lungs. If you are concerned that your dog is not coping, call us for advice. Be prepared to take immediate action and bring them to the surgery, having phoned us first to allow us to prepare for the emergency. Our dogs are not mad and we may be English but we can still enjoy our summer with care and consideration, keeping our pets happy and healthy. *Berens. J, Thermal contact burns from streets and highways. Journal of the American Medical Association; 214 (11):2025-2027.